Home / Asia / Business and Marketing / International / product or service reviews / Singapore / Travel and Living / Mustafa centre vs Changi Airport- Changi is 2-3 times expensive! Mustafa centre vs Changi Airport- Changi is 2-3 times expensive! We all buy chocolates for our family members and colleagues at airport, either because we didn't have time to buy them in city or we believe airport duty free stores are cheaper. I wanted to find out if airport stores are really selling stuff at reasonable price or if it is very expensive. To check this out, I did a small study. When we'd gone to Mustafa centre in Singapore, I took photos of some popular chocolate brands. Later, while returning to Chennai, I roamed around in Changi airport to find out how much same product costs in an airport store. I couldn't find an exact match (same flavor/packaging, weight etc), so I took pictures of the closest match for the same brand. Below is my finding, which concludes that Changi airport store is almost 2-3 times more expensive than Mustafa centre. Update: Above ToblerOne 400 gm costs Euro 8.95 at Paris Airport, but with buy 2 get one free. That works out to 6 euros per 400 gm. Note that there're some difference in flavor and weight, as I couldn't find exact match. But then, price difference shouldn't be more than 10-20% because of packaging/flavor or weight.. Two to three times difference only means buying at airport is indeed a huge loss. Also Mustafa is the cheapest place to buy anything in Singapore. If you compare with normal stores, the difference could be little less. 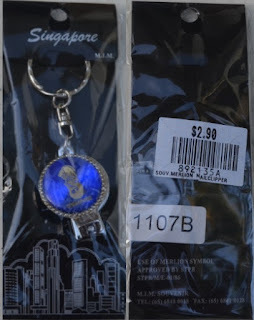 Similarly, I bought a key chain at Mustafa for 2.9 SGD. A similar one costs 12.84 SGD at Changi (not same brand/design etc, but similar. 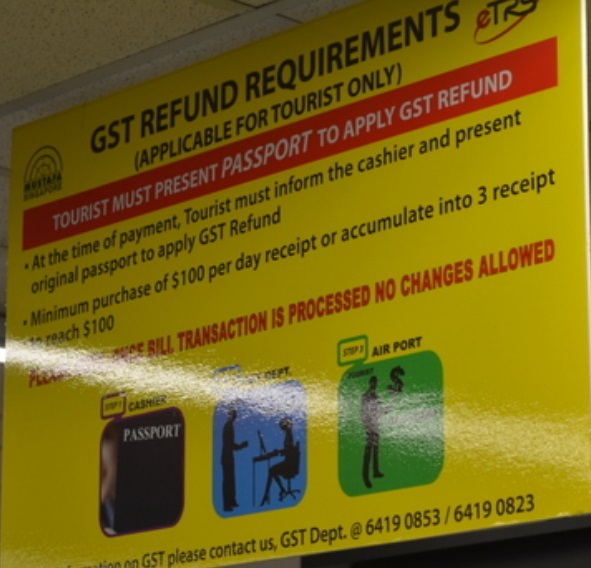 At both places, tourists are eligible for 7% GST refund, but that is a bit complex process- you should buy for min 100 SGD per day, fill a form, wait in queue at refund counter, pay for some processing fee and effectively you will get a few dollars back. My friends at Changi airport may not like it, but it is a fact that airport is an expensive place to buy anything. Airport stores need to pay high rentals and won't have the volume of business to lower per unit price. At Mustafa you might have to wait for your turn to pay. What's true for chocolate is also very likely to be true for other products. What's true in Singapore will hold good for other cities too in general. Be careful. You have rightly nailed it down! Mustafa gives very cheap prices and thats why you can see lot of Tourists do shopping there. Not sure if you have checked Naranjan stores very close to Mustafa on Race course road, its very cheap for Electronic Items. Not only Changi airport all airports rate their items very high. A garment that cost just 15 Malaysian currency at a store in Penang streets costed 90 in Penang airport. Unfortunately I didn't take pics to prove my point. But there's no harm in window shopping at the airports. Airports are meant to be expensive ,its the convinience that it gives you while you wait for your flight. Duty free extra give you the choice of carrying those bought gifts over the normal baggage rules. I usually fly out of Chennai. I will try to capture the price in Chennai next time.